We have three very interesting main characters in this story. All are undervalued to an extent, and have demons to face. Amelia and Frederick in particular are getting grief from some of their loved ones too. However, all three strive to be positive and strong, and all of them are likeable, sympathetic people. Their interactions make for a fascinating story. Family life is shown in two very different lights in the novel: we see its difficult, dismissive side but also the ever-loyal and supportive side to it too. The setting is rural Australia, and the author’s writing takes us there. We get especially interesting insights into running a vineyard, and the business side of a bottle of wine, but learn about the other character’s professions too. The romance that blooms slowly between Amelia and Frederick is beautifully portrayed, but it’s not without its frustrations and misunderstandings. And is Amelia too disillusioned to trust someone enough to truly love again? This is a gentle and touching romance with splashes of intrigue and skulduggery and lovely, wry humour here and there to keep the reader fascinated until the very end. Megan’s stories are about families, intrigue and love. Every book contains a bit of humour and a lot of heart. Megan lives in Melbourne with her husband and three children, and has a background in public relations and higher education. She drinks far too much coffee and has an addiction to buying scarves. 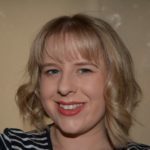 She interviews with other authors for her blog series, Espresso Tales, and loves a bit of #bookstagram. Her debut novel, The Things We Leave Unsaid, was released by Crooked Cat Books in 2018. 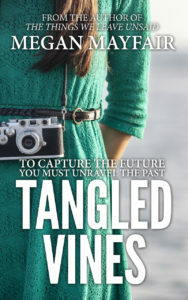 Tangled Vines is her second novel. Posted in Book reviews, book tour, Romance.Tagged Australia, family, photography, vineyards, wine.